Like many other Labour supporters I’m a devoted admirer of Caroline Lucas, but her letter (Dilemma at the heart of Labour’s opposition, letters, December 31) does nothing to help Labour to use its time in opposition to shed the incubus of New Labour’s past aberrations, in order to re-emerge as a party committed once again to civil rights, fairness and equality, and the rule of law — including funding higher education out of progressive taxation. Ed Miliband showed in his first speech as leader a reassuring awareness of the need for a fresh start, if Labour is again to become an electable party of the liberal centre left. 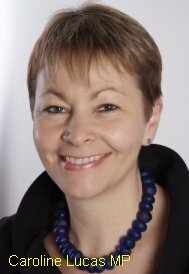 If Ms Lucas insists on undermining his efforts, as her letter seems designed to do, the only remaining left-liberal alternative to the coalition will be a minority one-person Green Government led by and solely comprising Caroline Lucas, admittedly an attractive proposition but one which even she will hardly regard as viable. It’s in the Greens’ as well as in Labour’s and the country’s interests to help Labour to disengage from the negative elements in New Labour’s record and start again with a clean sheet based on Labour’s core values, not to screw down the Blairite shackles even more tightly. Happy new year, Caroline! A titanic struggle has been going on over the future of control orders — those euphemisms for preventive detention under virtual house arrest for people who have never been charged with, still less convicted of, any offence, and so are entitled to the presumption of innocence, all on the mere suspicion by the security agencies of some connection with terrorism. The LibDems, to their great credit, have always opposed these wretched totalitarian measures and Nick Clegg has reportedly threatened to make it a deal-breaker for continued participation in the coalition government if control orders aren’t scrapped. The respected organisation Liberty has campaigned vigorously for abolition, strongly supported apparently by the Justice Secretary, Kenneth Clarke, and the Attorney-General, Dominic Grieve, both Tories. The political commentators have been reporting that a decision to abandon control orders was imminent, the price of keeping the LibDems on board. But now the Home Secretary, Theresa May, who has been heavily leaned on by the intelligence and security agencies and the police, has weighed in for their retention, supported by Lord Carlile, the former government reviewer of terrorism laws (who has always tended to support the status quo after having had access to all the files on the suspects), Sir Malcolm (“at this moment in time”) Rifkind, and the rest of the usual gang who like to terrorise us with threats of bombs going off all over the country if New Labour’s vast array of illiberal security measures is reduced by the smallest enlightened reform. Lord Carlile gave the game away by reminding his fellow LibDems that they would be blamed if control orders were abolished and a terrorist outrage occurred soon afterwards (never mind the claims of liberal principle, protect yourself against any accusation of being soft on terrorism just in case something bad happens and you get the blame). Now the Guardian reports that control orders will probably stay, with some softening of their sharp edges as a leaky life raft for Nick Clegg. One despairs. We’re reeling from a disaster-ridden evening in which J cooked our first ever goose, for a festive supper with her sister and her partner. A tub of hot goose fat got accidentally spilled on the tiled floor of the kitchen, which still, after being swabbed repeatedly with assorted chemical cleaners, closely resembles an ice rink. J thinks that some of the clothes she was wearing may eventually become wearable again after repeated buffeting in the washing machine; the rest she has thrown away. My efforts at ‘carving’ this huge creature had me trying to tear its limbs off with my bare but goose-fat-covered hands, straight out of a feeble and unfunny sitcom. The derisory quantity of dark brown meat that I eventually managed to hack off it were indistinguishable from over-done lamb, reminiscent of some third-rate Greek restaurant. Luckily J had done all the usual trimmings, which were fine, and plenty of red and white liquid went gratefully down four hatches. All pure Feydeau. Could anyone find a use for a tub of goose fat, by any chance? Not the one that went to lubricate the kitchen floor, of course. Uh-oh: J warns me that there’s only one tub left and that it’s reserved for me to fry my eggs and bacon in. Offer regretfully withdrawn. Apart from anything else, I’m sorry to see Caroline Lucas joining in the personalising of politics – so much of the news these days is written in terms of “will this be an embarrassment for Smith?”, “has Jones changed his mind without telling anyone?” and (Lord help us) “will George Osborne apologise for disagreeing with me?” that it’s sometimes quite hard to tell what the policies involved are. Like you, I’d positively welcome the Labour leadership being ‘hypocritical’ if it meant dumping some of the baggage of New Labour. As for control orders, I’m disappointed in Alex Carlile but not entirely surprised. I had an exchange with him at a seminar in Manchester a couple of years ago – my argument was that, while businesses might routinely operate under a regulatory regime, individual behaviour couldn’t in justice be regulated without some kind of agreement to be regulated. To break the law and be punished for it is one thing; to be told that you, personally, aren’t allowed to visit these specific addresses is quite another. (Obviously this critique also applies to many ASBOs.) Carlile’s reply was as follows: “Control orders aren’t behavioural regulation – they’re behavioural regulation for public protection.” So that’s all right then. I’m not in the least surprised about Clegg, of course. As Vince Cable more or less admitted, his party are in a very weak position – they only have the ‘nuclear option’, and Clegg in particular is desperate not to use it. I do wonder how long his party will wear it. Brian writes: Thank you for this, Phil. On personalities, I agree with you, but with Caroline Lucas it’s unavoidable as she’s the sole Green MP — which doesn’t excuse her focusing on Labour personalities instead of on policies. I would really like to see her working closely with Labour. What you say about Lord Carlile doesn’t surprise me. I once debated control orders with Alex Carlile on Newsnight, a year or more ago, and I too was disappointed to find him taking such an uncritically Security Establishment view — the inevitable result, I suppose, of his nine years being clasped to the bosom of the intelligence and security agencies with access to all their anti-terrorist files and entrusted with their suspicions and fears. I would have expected an experienced LibDem to take a more libertarian view. Vince Cable’s remark which you quote, about the LibDems only having the nuclear option, does indeed hit the nail on the head. Their ability to exercise the nuclear option — by actually pulling out of the coalition — is clearly limited by the knowledge that their party would be nuked as part of the general conflagration, with the likeliest consequence being fresh elections in which the LibDems, on present form, would be liquidated as a political force, and the Tories might well emerge with an overall majority and thus able to govern on their own, without being pestered all the time by a lot of finicky liberals. They are like a bee that can use its sting only once and knows that the price of using it is its own death. Not a hugely credible deterrent! On the issue of Greens v. New Old Labour, I think you need to bear in mind that other parties do not necessarily subscribe to the – I’m afraid rather questionable – possibility that the Labour Party’s power brokers really mean any reform at all. Most of us think – on the basis of some pretty solid evidence over many years – that New Old Labour is just another load of window dressing being used as a way to get back into power: the onus is on Labour to prove that it really means change for once, not on us to accept the latest pious gospel. Blair & Co gave out enough spin over the years to make everyone doubly wary of the attractive words coming from that quarter. If Labour really means what it says right now, it should move ahead without any of this false piety about past sins and confession. On the other hand, the Greens and others who have good reason for being disillusioned about Labour’s performance when in office (which was not so very long ago, after all) are quite entitled to express their doubts about Labour’s current good faith: like it or not (and I’m sure you don’t), the perception is that New Old Labour is merely jostling and posturing to “do the opposition thing”, merely because it is in opposition, thus blithely and opportunistically opposing the policies it pursued while in office, in the attempt to curry some favour from voters who, it sincerely hopes, have a very short memory indeed. If New Old Labour really intends to turn over a new leaf and avoid the accusation of opportunism, the nasty hatchet job that it and its supporters are doing on the LibDems right now constitutes a case to answer: with what courage does Labour scream at the LibDems for being forced to swallow one unpalatable pill of Realpolitik after another, many of which are caused by the inheritance picked up by your present government from its Labour predecessor and which are largely necessary in the interests of keeping the country and its wobbling economy on their feet. In other words, unpalatable policies that Labour would have been obliged (by circumstances of its own making – and therein lies the difference) to practise if it had won the last election. If you expect the Greens to make allowances for Labour’s stated change of heart, do you not agree that Labour would do well to start by setting an example in that sense, i.e. by stopping its cheap attacks on the LibDems? After all, I’m sure that the LibDems would rather be in opposition right now than obliged to support the policies they are now having to underwrite. Why do they underwrite them? Out of a sense of responsility for the stability of government and economy that was sorely lacking in the Labour Party before the election, contributing substantially to its losing the election. So while you complain that Caroline Lucas is being “unhelpful” to the reform of a party she opposes (well, yes, that’s politics, one might say, otherwise she’d be a member of the Labur party, wouldn’t she? ), spare a thought for how consistently “unhelpful” (to put it mildly) Labour has been to LibDem efforts to generate real reform over the decades. Pot calling kettle black? On a lighter note: what with the cost of reflooring the kitchen, buying new clothes and still not actually enjoying the experience of eating goose, I think you may find it cheaper (and also more pleasant and relaxing) to take a short break and go to Berlin at any time from mid-November onwards in winter. I could recommend several places where you can just sit back and enjoy your goose with all the trimmings, some fine wine and no fuss at all! If you know Berlin inside out and want a change of scenery, I also know of at least one place in Warsaw that does a very nice goose…..
Brian writes: Thanks for this, Pete, and a very happy new year to you too, cuts and double dips permitting! I don’t blame you for your scepticism about the prospect that Labour “really means change for once”, although with a new leader and a wholly new parliamentary and economic situation to deal with, you can’t fairly base your scepticism on “some pretty solid evidence over many years”. It’s a whole new ball game and everything’s to play for. Large sections of the party (including the affiliated organisations) undoubtedly want to shed the more unsavoury elements of the New Labour record, especially on Iraq and civil liberties, as the new leader undertook to do in his very first speech as leader; others want to defend their own miserable records or think that disowning past blunders over Iraq and the attacks on civil liberties will lose votes in Middle England and make Labour permanently unelectable. Neither you nor I can possibly predict which of those opposite viewpoints will eventually prevail. Well, no, I don’t agree at all, actually. I have never suggested that “the Greens” (who’s the other one?) should “make allowances for Labour’s stated change of heart”; I merely point out that it’s in the interests of “the Greens”, of Labour and of the country to encourage Labour to make a fresh start by disowning the negative elements in the Blair-Brown legacy, not to make it more difficult, as Caroline Lucas’s ill-judged letter in the Guardian seemed bent on doing. As to Labour’s “cheap attacks on the LibDems”, perhaps you haven’t noticed the LibDems’ continuous cheap attacks on Labour, including obediently parroting the mendacious Tory mantra that Britain’s financial and economic problems result from the Labour government’s mismanagement, whereas it was Labour which delivered ten years of unprecedented prosperity, with low inflation, low unemployment, significant reductions in poverty, the rescue of the public services from decades of Tory neglect with massive improvements to the NHS and education, a minimum wage, the HRA, FoI and dozens of other positive achievements, including notably a spectacular success in saving first the banks and then the country from what threatened to be the worst economic collapse for a century or more, caused by the avarice and folly of the banks, and an unsustainable trade imbalance between the US and the rest of the world, including especially China. For the LibDems and their Tory masters to carry on about “the mess we inherited from Labour” is simply outrageous, and the economically literate among them must know it. Do you seriously expect Labour spokespersons to sit quietly while this poisonous slander is tipped over them, day after day? Many commentators and bloggers, including me, have warned that the time may well come when Labour’s only hope of forming a government again will lie in some kind of agreement (not necessarily a coalition) with the LibDems. Ed Miliband and others in the new leadership have shown themselves well aware of this. But it takes two to make a marriage, even a shotgun wedding, and the LibDems might benefit from a reminder that they too may find themselves one day in a situation where their chances of staying on the government side of the house of commons depends on Labour’s willingness to do a deal with them. One of the many reasons for Labour to adopt a much more ‘liberal’ stance on civil rights than in the past, and more liberal than the coalition is currently looking with its imminent backsliding on a host of libertarian issues, is that this will win the support of a great mass of LibDems out there in the country who are deeply unhappy about the grubby compromises into which their leaders are constantly retreating. It’s important to bear in mind that in principle (if you’ll pardon my use of the word) Labour and the LibDems are natural allies, and that the Tories and the LibDems are not. That’s something for the LibDems to ponder on, not just Labour. The cheapest attacks are currently being made in the opposite direction to the ones you condemn! And, finally, I can’t help suspecting that you’re trying (successfully) to wind me up with this stuff about the coalition’s “unpalatable policies that Labour would have been obliged (by circumstances of its own making – and therein lies the difference) to practise if it had won the last election”. The only circumstances that are of Labour’s own making are the benign prospects for a steady recovery which the Tories, with the willing or unwilling support of their LibDem underlings, seem determined to undermine by recklessly deflationary policies, many of them informed by reactionary Tory ideology and not by any economically literate plan for reflating demand, encouraging job creation instead of aggravating unemployment, increasing taxes on those best able to pay them instead of relying on the most regressive and deflationary tax available, and concentrating on jobs and growth instead of neurotically obsessing about a perfectly manageable deficit which current coalition activity is actually widening as we write. The idea that a Labour government would have adopted the same measures as those currently being inflicted on us by Osborne, Gove and Lansley is frankly codswallop. Labour would have attacked the deficit at a more measured pace and by progressive, not regressive measures, progressive measures which would have stimulated, not choked back, growth and jobs. We all genuinely hope that the coalition will get us out of the hole without actually precipitating another, even deeper recession, or worse, but if they do, it will be by inflicting wholly unnecessary pain in the face of the warnings of just about every reputable economist in the English speaking world. But I do welcome your advice on where and how to eat goose. I have certainly never eaten goose in Berlin, which I have rarely and only briefly visited, but you remind me that I have most likely eaten goose, probably quite often, in Warsaw and elsewhere in Poland, where J and I lived and worked for a couple of years in the bad old days. There’s one especially excellent restaurant on the corner of the market square in Krakow where I seem to remember relishing delicious goose, and many other kinds of good Polish food. I’m sure it didn’t taste anything like the grey tasteless lumps that I tore off this vast carcass the other evening. Never again at home! Brian, I managed to lose my posting 2/3 of the way through it last night – or is your blog primed to devour entries containing certain trigger words or phrases..? At the time you hadn’t yet replied – if that’s the right word ! – to Pete Kercher, so I think I’m probably a bit better prepared now than I was then to scribble my pen’orth. There was a typically dour but popular mantra often heard in the Yorkshire of my boyhood about the best lessons being the hardest ones. And I’ve never forgotten it. Zoom forward to the delightful and sharp-witted Ms Dr Lucas’s scathing comments about New Labour’s egregious sins and see its relevance. I think we should forego any immediate ideas of talking up Ed Miliband’s acknowledgement of new Labour’s sins, his declaration of Labour’s change of heart or his vision of new Old Labour’s eventual resurgence! I think it’s too easy and too soon to do that – unless we moderate it with a good dose of self-flagellation. It isn’t that I want to stifle our fighting spirit or optimism; but I don’t think we should shed the sackcloth just yet. The necessary hard lessons can’t possibly have been learnt in such a short time, and those of us on the left must surely know it. Your list of the Blair government’s virtuous deeds is certainly unchallengeable. So why did millions of people stop voting for it increasingly after 1997 and, more significant still, why did we lose hundreds of thousands of members in that time? Why did party workers and branch chairs, like me, sink from the frenetic activity in the 90s to actually refusing to work for their Labour MPs in 2005 ( and 2008 if they were still in post)? Disgust was one reason. But all that post -Iraq soul-searching and subsequent resignations are not what concern me here. If I was going to leave the party on principle I’d have done so well before then – almost as soon as the Blair government had taken shape, in fact – for exactly the reasons Ms Lucas cites. Take student fees. I think the phrase ‘introducing student fees’ slips too easily off the tongue to describe what Blair and Blunkett actually did. They couldn’t wait to make ours the first government in our history to vote to impose them – only six months after taking office ! And Blunkett wasn’t content merely to follow the recommendations of the Major-appointed Dearing committee in doing so. Imposing fees was only the first part of a double whammy he hit the students with; the second part was to abolish the maintenance grants Dearing had recommended keeping – precisely to soften the blow of fees – and replace them with loans! How socialist was that? How caring of poorer students? Students and their families are more inured today to going into debt than they were in the late 90s , but at the time the threat of debt certainly diminished the numbers of poorer students willing to gamble on the value of a degree. The frightening figures of student debt we hear about today are the inevitable consequence of Blunkett’s ‘innovation.’ And today’s poorer students are known to be less likely than those from well-off families to risk incurring estimated debt levels of up to £30,000 or so, just as their predecessors were put off by debts a third as big. Despite the rationalising arguments of today’s millionaire government, The Social Foundation has found that poorer students are increasingly less likely than richer ones to go to university. And new Labour started the rot over ten years ago. Members of the Labour Party should remember it. Talking up Ed M’s new dawn must – in my opinion – be moderated by approporiate chest-beatings, mea culpas, etc. Declarations of better intentions aren’t enough – yet. Ditto with the NHS, where Caroline Lucas is also right. Chancellor – then- PM Gordon Brown’s PFI schemes were a castastrophe, keeping his balance sheets in the black whilst burdening the hospitals built under PFI with debts of 20- 30% for periods of 30 or even 60-years as a result of their contracts with the private consortia who built them and their ever-increasing interest rates. Professor Allyson Pollock, Head of International Health Policy at Edinburgh Univbersity, consistently warned of what this creeping privatisation was doing to the NHS, but new Labour refused to listen. One result was that between 1992/3 ( under the Tories ) and 2009/10 ( continued and expanded under Labour) the English NHS lost 73,882 beds – a third of its capacity, as old hospitals were knocked down and smaller ones built under ungenerous PFI schemes. Another result was the widespread skimping of standards and services as Trusts struggled to pay off their privateer creditors. The recent deaths and appalling standards revealed at the mid-Staffs NHS Trust were another result – worse than most, but typical of the results of cutting costs in all areas – wards, staff, equipment, services, etc – in order to pay off interest. Labour might have poured bundles of money into the NHS – but it went into the hole dug for it by PFI contracts. Worst of all was the Milburn-promoted Foundation Trust Hospitals scheme, begun under new Labour and according to Allyson Pollock the most blatant manifestation of privatisation in what remains of the NHS – not even answerable to the government or the health service, but to Monitor, an independent regulator….. I won’t go on to the Royal Mail, education, etc. I think the point has been made. Labour has a lot to be proud of, but for our good intentions to be believed by voters we first need to expiate our past sins and show that lessons really have been learned. Hearing such chastisements as Ms Lucas dished out in The Guardian will do us no harm at all. What we really need to ponder is how we watched Blair get it so wrong for so long in so many ways. And how we let him get away with it. I think we need to balance our new aspirations and intentions with a bit more soul-searching for the time being. Brian writes: Many thanks for this, Bob. I don’t disagree with 90 percent of your (or Caroline Lucas’s) strictures on the records of the Blair and Brown governments, although I have no doubt that you understate the vast improvements to the NHS which they brought about. Where we do disagree is about the way forward for Labour now. Your suggestion that the party should take its time about adopting a new and reformed commitment to civil liberties, meanwhile explicitly begging for forgiveness for the misdeeds of the Labour government, rather in the manner of the confessions and repentance of Zinoviev and Bukharin at their show trials in the 1930s, seems to me unrealistic. For a political party in our ferociously adversarial political system, with the feral tabloids of the far right constantly on the lookout for the faintest evidence of admitted error, to confess its past (but all too recent) misdeeds in the way you recommend would be to commit political suicide. It would also totally overshadow the many positive achievements of Labour in office, including not least the remarkable role played by Gordon Brown in heading off a real catastrophe on a global scale when all around other western leaders were paralysed by fear and indecision. In his first speech after his election as leader, Ed Miliband made a brave declaration of dissociation from New Labour’s record on Iraq and civil liberties (to the undisguised dismay of several of his fellow Labour grandees, including his brother); I’m sure that that was right and that it would be a serious mistake to go any further, at any rate in public. My point in this post and elsewhere is that Labour now has a narrow window of opportunity in which to change course. This is a once-in-a-generation opportunity to commit the party to an unwavering defence of human rights and civil liberties. That window of opportunity will close very soon. If Sadiq Khan and Ed Balls continue to succumb to the temptation to damn the coalition for throwing a lollipop to Nick Clegg over control orders, asserting that this is at the expense of public security: and if they denounce the government for restoring voting rights to some categories of prisoners in our jails (as required by court rulings which Labour ignored while in office) on the argument that voting rights are being given to far too many prisoners: in other words, if Labour’s new or newish leaders persist with this positioning of Labour far to the right of the coalition on human rights issues, the new direction signalled in Miliband’s initial speech will be quite simply closed off for the foreseeable future. The row over control orders is the new leadership’s first serious test. Labour should come out loud and clear for outright abolition, on clear human rights grounds. If the coalition comes up with a fudge, as now seems likely, Labour should denounce it as inadequate. There’s no need to accompany such a policy line with apologies for having introduced this poisonous system in the first place. Such apologies will be both exploited for political advantage and rejected as insincere and hypocritical — especially if Blunkett, Reid and the rest of the has-beens continue to fill the media with their vain and egotistical protests at being disowned. If the coalition — or Ms Lucas — jeer at what they will justifiably describe as a Labour U-turn, Labour should shrug and point out that we’re in a new situation and that the party has a new leadership and new and enlightened policies. Similarly, it’s vital that when Kenneth Clarke’s sentencing review is published and opened to consultation, Labour should come out hot and strong in favour of the Green Paper proposals and against the Tory cave-men such as Howard and Rifkind who will want to water them down or abandon them altogether. Labour doesn’t enjoy the luxury of taking its time while it absorbs the lessons of the past and decides what to do about them. The official Labour Opposition will have to take a firm position on control orders within a few days, and on broader penal and prisons policy within a week or two. It’s absolutely vital to get it right now. There won’t be another opportunity to change course later. And there are ominous signs that Labour is about to blow it. Please don’t weaken the determination of the reformers by suggesting that they don’t need to commit themselves just yet: they do! How can you be so sure Mr Miliband is “a sinner that repenteth,” and not just one more smooth-talking New Labour con artist? You might reply, “Well, our only hope is to give him the benefit of the doubt until we’re 100% sure,” and I’m happy to go along with that for as long as possible. How about doing the same for Mr Cameron and Mr Clegg? Brian writes: Thank you for this. I don’t understand the question. Neither Mr Cameron nor Mr Clegg has given any indication of repenting past sins, as far as I’m aware. Nor can they claim the benefit of the doubt about the destructive and reactionary policies to which they have committed themselves and which they are actively pursuing: what doubt, and what benefit? As for Mr Miliband, it’s difficult to imagine a reason why he should publicly dissociate himself from certain elements in the Labour government’s record in his very first speech as party leader, and in the party conference at that, unless he meant it. Why would he risk alienating and alarming powerful sections of the party he leads in this way if it was just a “smooth-talking con”, as you put it? But concrete evidence of specific action to translate his declaration into an identifiable change of direction is certainly becoming increasingly overdue, with Labour front bench spokespersons all over the place on, for example, control orders and votes for prisoners. The fact that the coalition parties are also all over the place on these and many other civil rights issues doesn’t make a spot of firm Labour leadership any the less necessary. Let me try to spell it out. Do you think Mr Cameron and Mr Clegg are making a reasonably honest effort to sort out our country’s problems? Or do you think that, for the time being anyway, we should give them the benefit of anydoubt? If your verdict is a positive “No,” and you’ll pardon the oxymoron, I’d be interested to know precisely when you reached this decision. Brian writes: John, I’m afraid I can’t add anything useful to my response to your earlier comment (here).